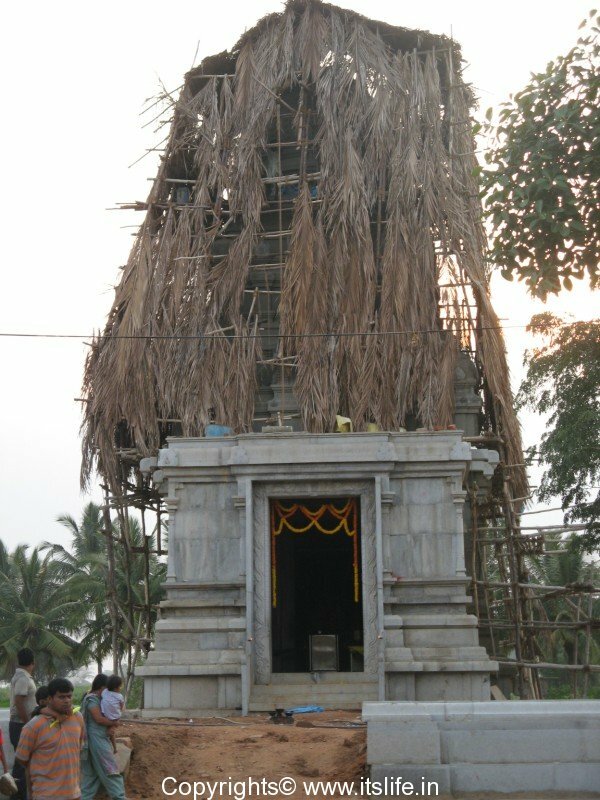 The ancient Bhoo Varahaswamy Temple built by the Hoysala king Veera Ballala III was undiscovered and unprotected until a few years back. 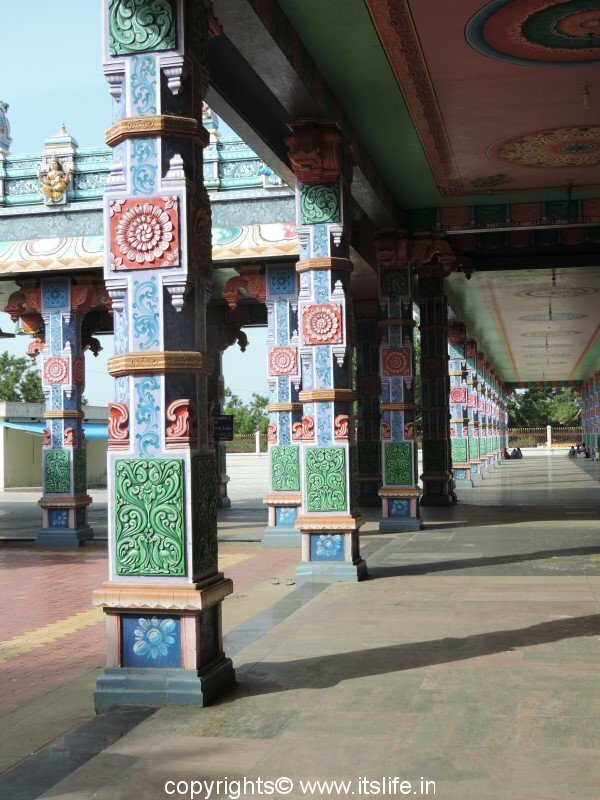 It must be either a divine intervention or that we Indians have started tracing back our rich heritage and culture that has bought this temple to its present light and glory. 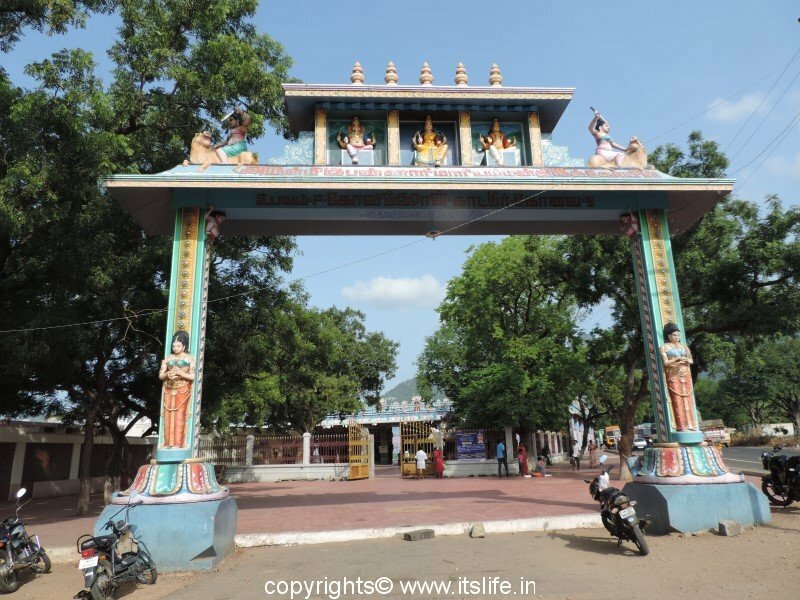 Our search for Kalahalli Bhoo Varahaswamy temple ended on a weekend reserved exclusively to follow a direction board that I had glanced briefly when we had visited the Gopalakrishna temple near the back waters of KRS. 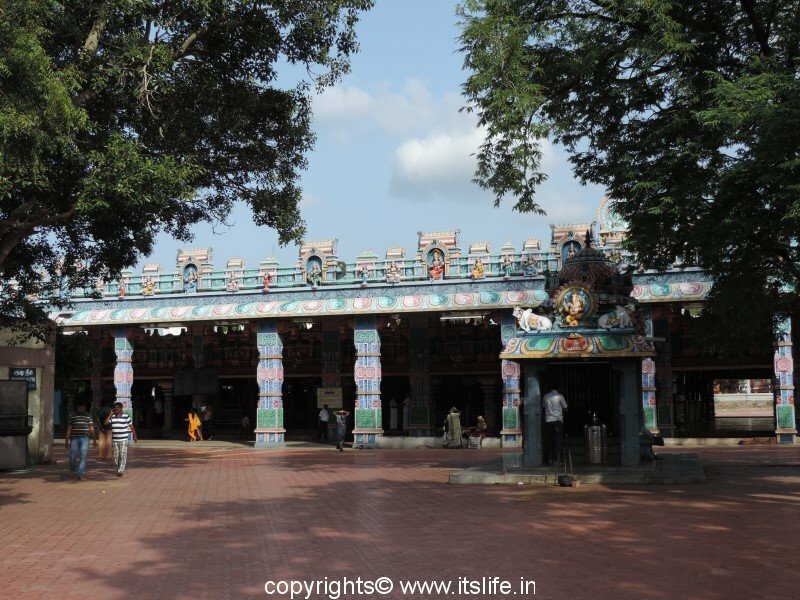 The temple is situated in Kalahalli village on the banks of river Hemavathy and the temple has survived several floods. 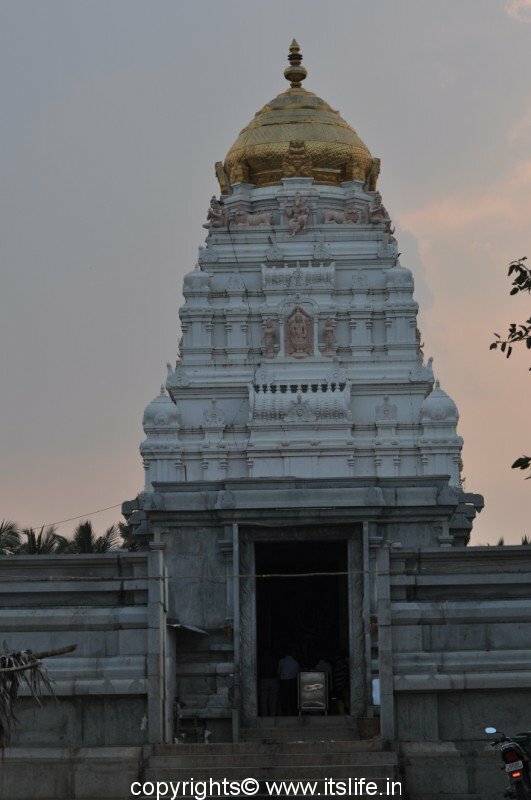 The temple is built in a rectangular shape using grey stones and looks plain from outside, but the idol inside is breathtaking. The temple is divided into two portions: garba griha / sanctum sanctorum and a outer hall. 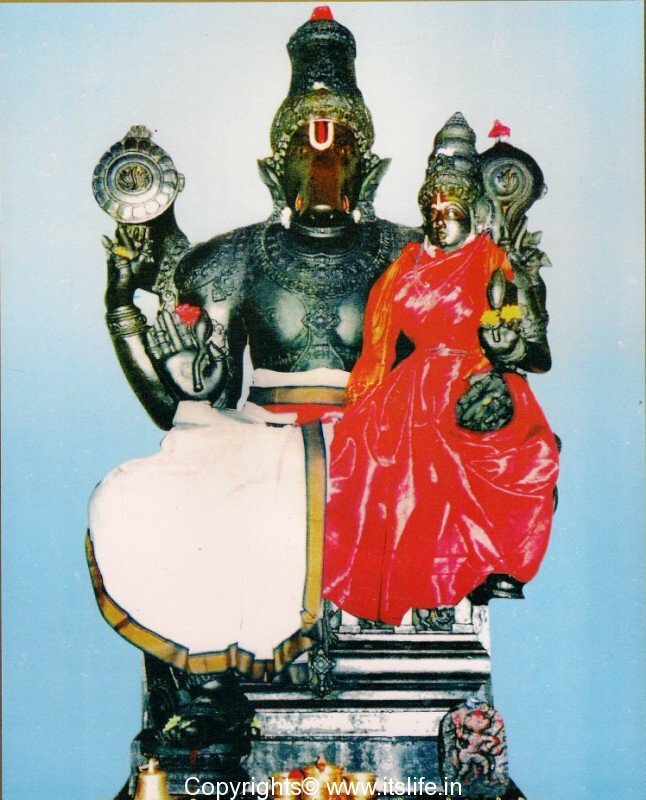 The presiding deity is Bhoo Varahaswamy, who is Lord Vishnu’s third avatar / incarnation and is also known as Pralaya Varaha Swami and Adi Varaha Mahishi. In this avatar Lord Vishnu appeared as a boar to rescue Goddess Bhoodevi / Mother Earth from the demon Hiranyaksha. 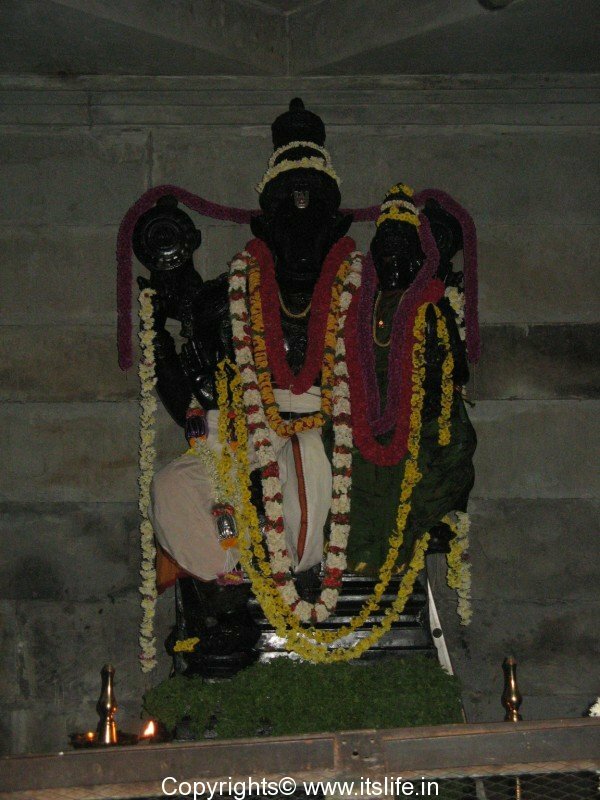 The idol of Bhoo Varahaswamy is 15 feet tall seated in Sukhasana (one leg touching the ground and the other leg folded) carved in saligrama shila / black stone found in Gandaki River. 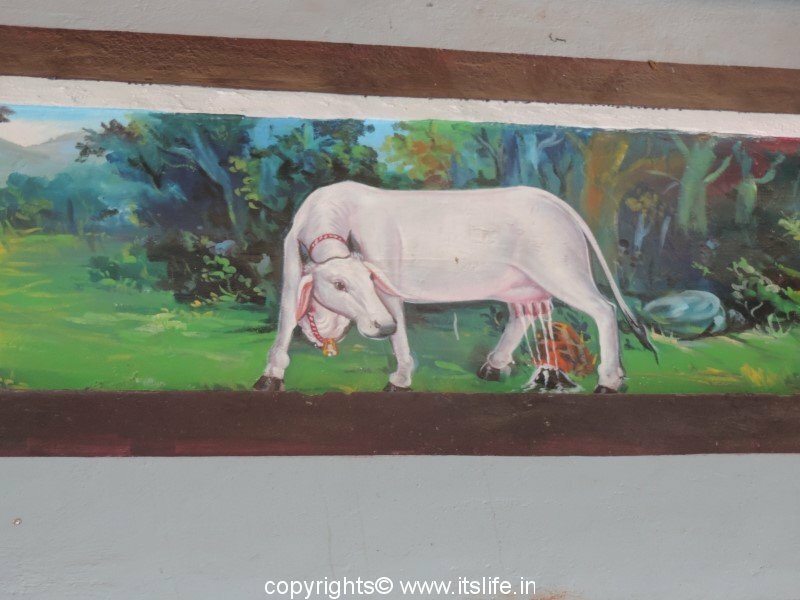 Varaha means boar and the horns of the deity is lighter in color than the face and the eyes are red. On the thigh of the folded leg is seated goddess Bhoodevi (Lakshmi) holding a lotus flower in one hand and the other arm is around the waist of the lord. Bhoodevi idol is 3.5 feet tall. 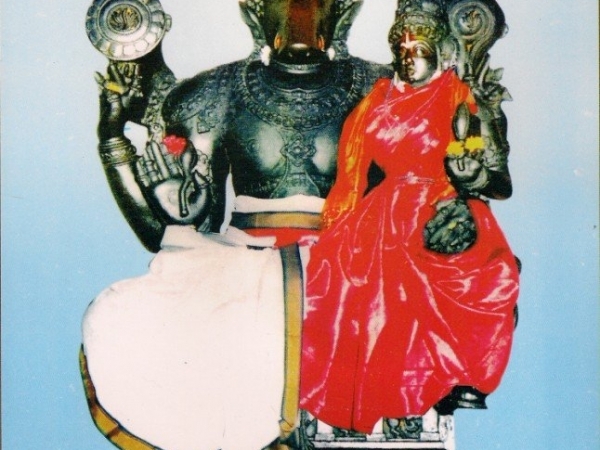 Upper hands of Varahaswamy are holding a conch and discus and a Sudarshana chakra is carved on the back of the idol. The left lower hand of Lord Varaha is embracing the goddess and the right lower hand is in Abhaya Mudra. 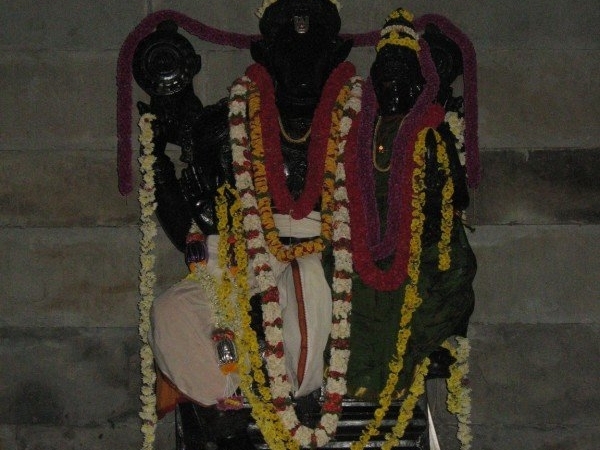 Lord Varaha is wearing a Kiritamukhuta (crown) and Bhoo Devi a Karanda Mukhuta. The knowledge of the sculptor regarding the proportions and the rules of sculpting gods and goddesses are commendable and deserves a huge acknowledgment. 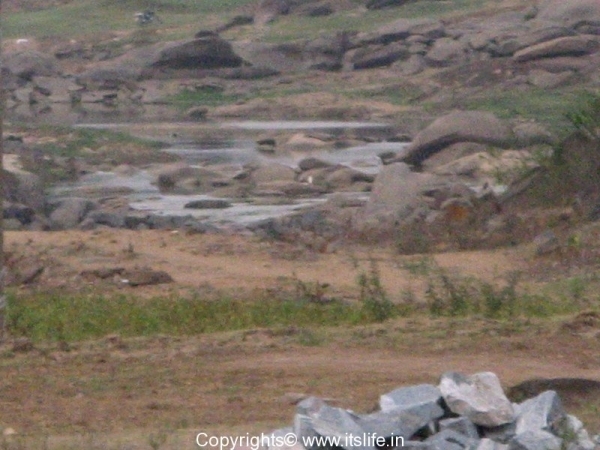 The idol is also believed to have been installed by Sage Gautama 2,000 years ago. 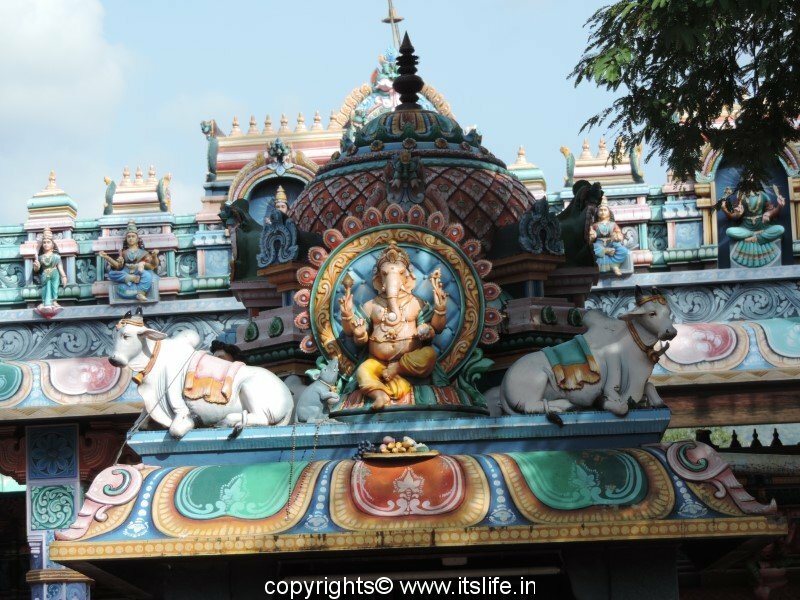 Though the idol is huge and majestic, the energy emanating from it is gentle, warm, and reassuring. The deity’s birth star is Ravathy and on Varaha Jayanthi in the month of Thai the major festival 1008 Kalasa Abhishekam is held. An idol of Hanuman is also sculpted under the main idol. 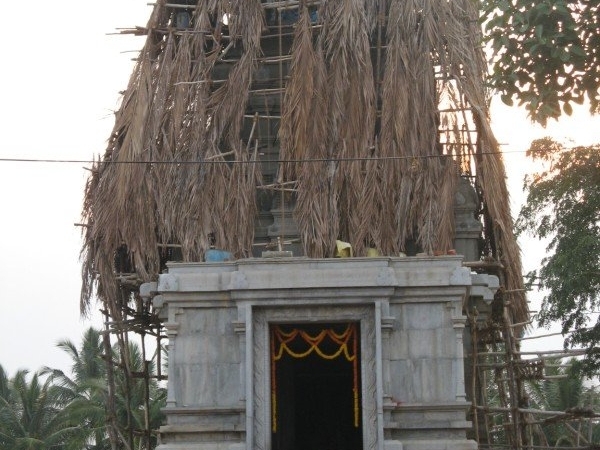 Sri Venkataramaiah a resident of this place took interest in this abandoned temple and requested the Parakala Mutt Swamy to visit the place. When the Parakala Swamiji visited the temple, he was overcome with emotion and took interest in promoting and improving the temple. Now, a full time priest performs abhisheka and pooja daily. 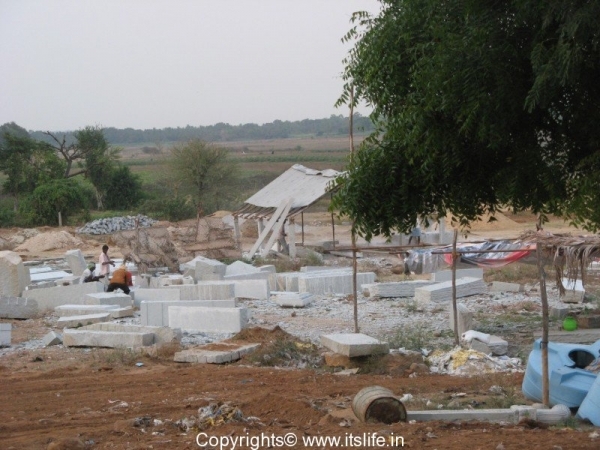 A new gopura (tower) is being built and the surrounding walls are strengthened and beatified. Really super temple . God is great . 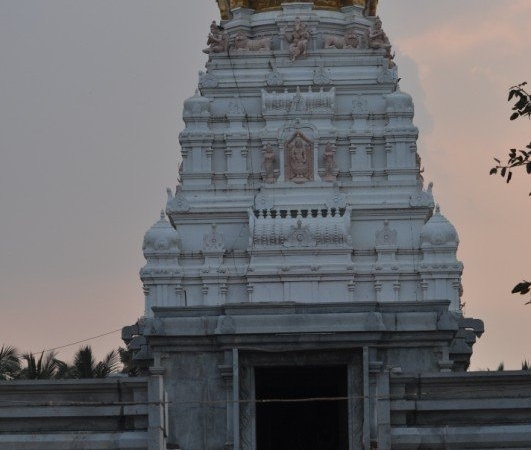 Its a very powerful god and Beautiful Temple also I like this place a lotz…. Thanks Preethi for sharing this note. Can we perform any pooja here ? Thanks for leaving the note Krishna Prasad. The temple has been handed over by a King to previous seers of Parakala Mutt.This Venkataramaiah story seems to be untrue. Kindly change it. Cannot overrule any of the stories associated with a place. Thanks for the information. 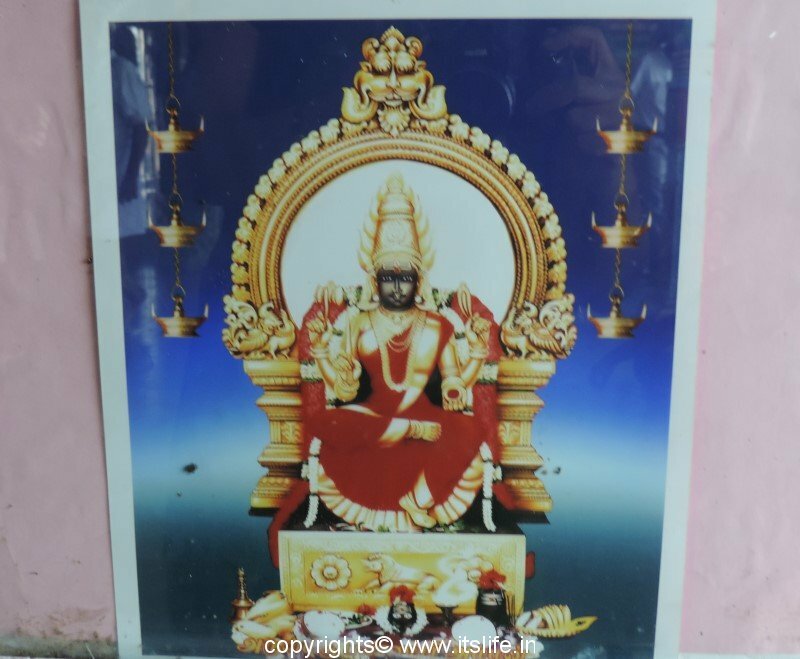 Please let me know which king handed over the temple to Parakala Mutt. 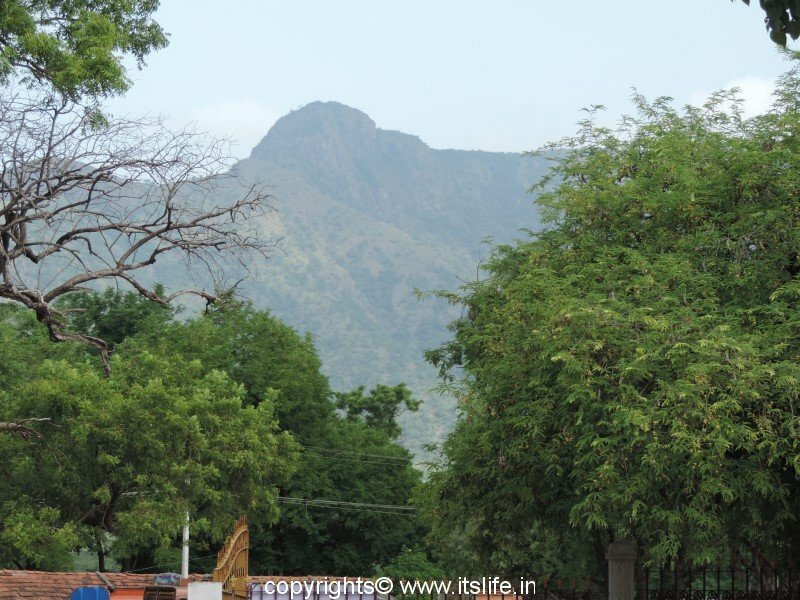 how to reach this place from banglore by bus? Temple people will send the message regarding abhishekam. They should add the conviniences to reach temple. It will be very usefull if they arrange one bus with timmings (from mysore to temple and back). Spiritual temple and great. Related blessings will held on the visit to temple. We are also one among them. Pls be clear heart and pray. No idea whether there is a direct bus from Mangalore to Kalahalli. Please enquire at your bus station. 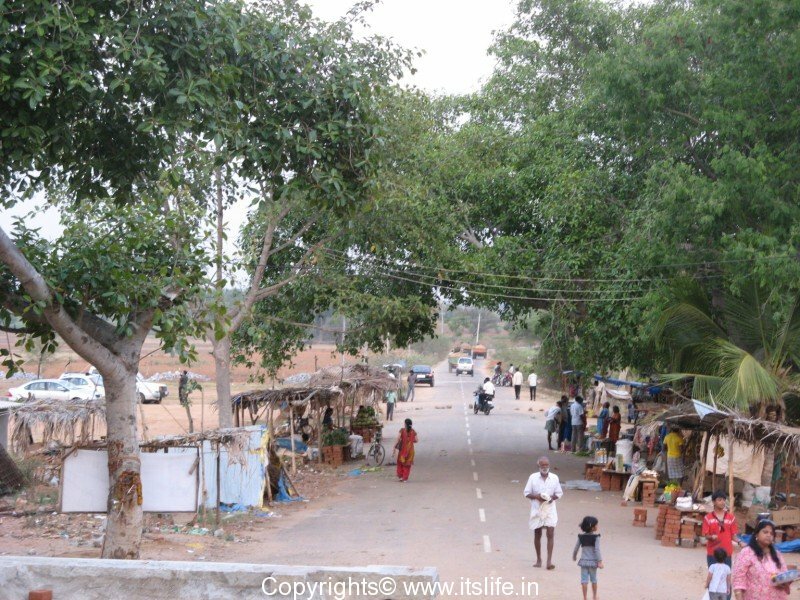 Yes, there are few buses from Mysore. Friends , please do visit and see the changes! We have noticed and recommending to all …Sarve Jano Sukhinobavanthu! This temple wasn’t quite ‘abandoned’. The history is fascinating. 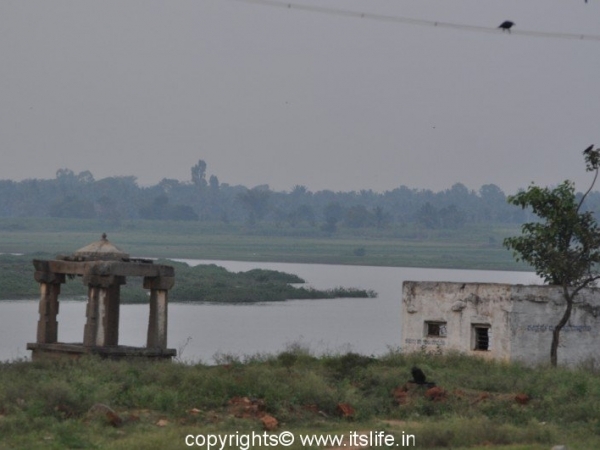 Kallahalli and other villages in the area were evacuated when KRS was built and the temple submerged. 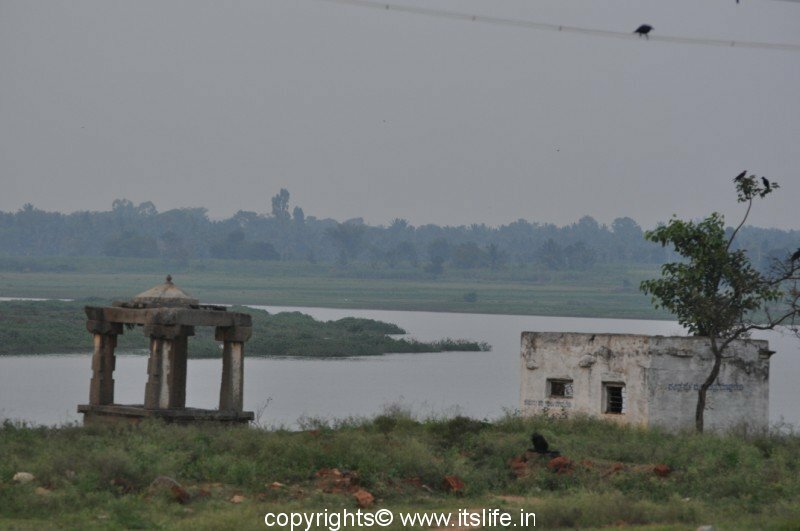 About 15 years ago, with the water crisis, as the reservoir receded, the temple reemerged. How much do they charge for Abhisheka for the idol?